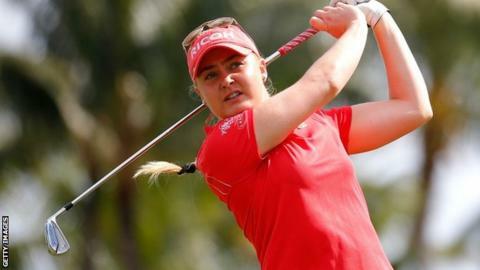 England's Charley Hull hit four birdies on the back nine to retain a share of the lead heading into the final round of the Bahamas LPGA Classic. The 19-year-old shot a four-under 69 to move to 12 under, alongside Sweden's Anna Nordqvist, who carded a 68. Hull, who has shared the lead after each of the first three days, looked set to lose ground until a late rally that included a birdie at the last. Scotland's Catriona Matthew is tied in eighth on nine-under after firing a 71. How does Murray beat Djokovic? Read more on Australian Open 2016: How can Andy Murray beat Novak Djokovic?